﻿﻿Look at her. How could you not? To me she is effortlessly beautiful, quirky and epitomises everything I love about Los Angeles (where she is from). I have noticed that there are some Zooey haters out there, which is fine, but I just really admire her. I love how Zooey has embraced her brand and social media. She has co-founded Hello Giggles with some friends. She also has extremely popular Instagram and Tumblr sites. And as well as her acting, she is also a musician and is part of the indie folk band She and Him (which I like a lot). And most importantly she has made the Ukulele hip again. As I said before, #74/76 on my Life List is about going back to LA and seeing the things I loved. But I also want to go back and discover the Downtown LA that Zooey is defending in this article. I want to go back and take in everything that is so quirky and unique about LA. 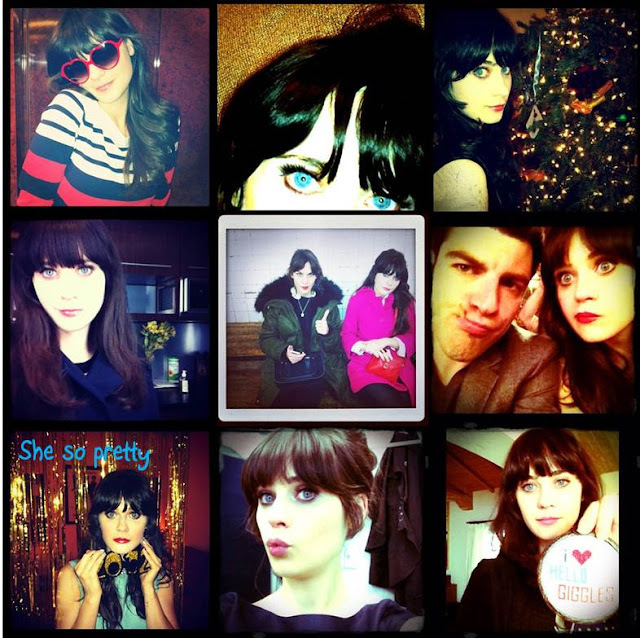 And finally I wan to learn how Zooey does her make up and hair! Seriously, I can never get my liquid eyeliner to look THAT good! Nor can I get my fringe/bangs to stay looking like hers! I must tackle #77 on my Life List and 'learn how to do a full face of make up'.